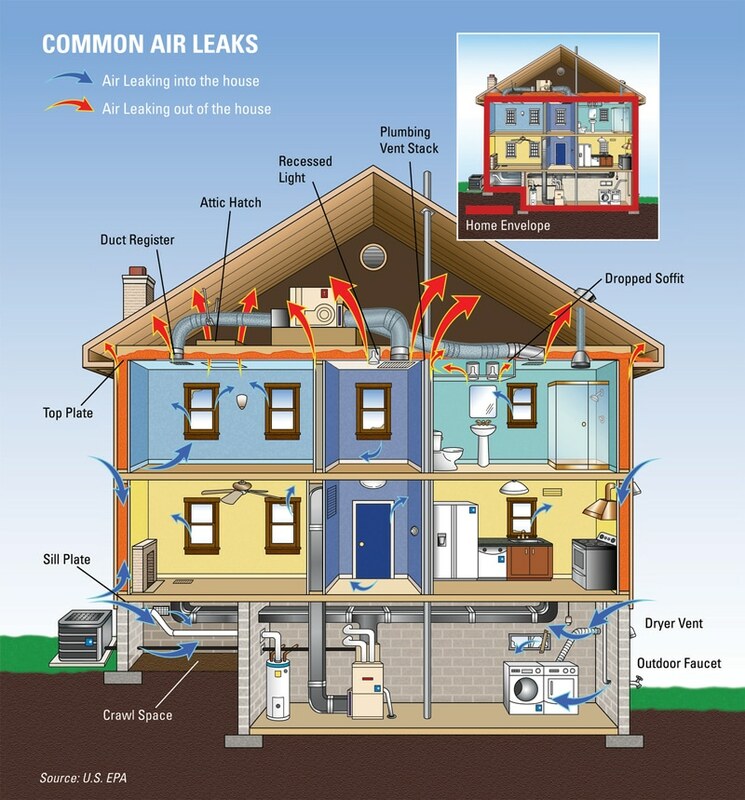 Weatherization is a practice that is designed to not only save you money on your heating and cooling bills, but to keep your home comfortable year round. Most people know of the value of insulation, but do not realize the essential role air sealing plays. Adding insulation without air sealing is a compromised job, and will only give partial benefits. Some will go as far to say insulating without air sealing is malpractice. As air is lost or gained from a home, the air temperature of the home or outside is lost/gained with it as well. Most types of insulation, such as fiberglass, do a good job of filtering this air but do nothing to stop it. Most of the large areas of air leakage tend to be out of site, such as in attics, crawlspaces, cantilevers, and other areas. We will conduct a blower door test along with thermal imaging to determine exactly how much conditioned air is being lost to unconditioned space, and locate the hidden areas of energy loss. Once we determine this, we are able put together the best plan to seal the house from the outside air as well as unconditioned space. We have a wide variety of techniques and products that aid us in this process. Next you need to insulate your home to keep the heat inside or out, depending on season. We are able to do this with our highly efficient insulation products. You want to use products that have superior insulating ability, to be placed along a proper air boundary. Once work is completed, a final blower door test is done to verify and measure the improvements made, which will also be evidenced by a more comfortable and efficient home!